Serial Scoop: Lynn Herring Back to 'General Hospital' for Good? Lynn Herring Back to 'General Hospital' for Good? 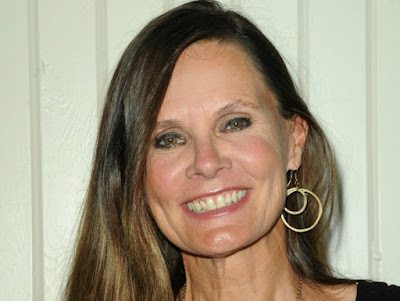 Last week popular actress Lynn Herring returned to General Hospital as Lucy Coe for the Nurses' Ball, but will this be the last we see of Herring now that the event is over? Herring tells Soap Opera Digest, Lucy will continue to spend time in Port Charles. "I said to [Frank Valentini, executive producer], 'When you have something interesting, I'll definitely be back; the Nurses' Ball isn't the end of Lucy, it just may not be right away [that she's seen again]. I'm hopeful that Lucy can be involved in what's going on between Kevin and Laura. I think that could be very juicy and interesting and fun, with so much history between all characters." Port Charles is a brighter town when Lucy Coe is on the scene. I truly hope we will continue to see more of Herring and Lucy in the months to come. You can read the full interview with Herring in the May 30, 2016 issue of Soap Opera Digest.